A new Consumer Reports investigation of pork sold in grocery stores found that a startlingly large proportion of tested meat contained one or more potentially harmful bacteria, some of which showed signs of antibiotic resistance, raising new concerns about the safety of the national pork supply. But the investigation didn't find the pathogens traditionally associate with pork -- trichinosis and salmonella -- to be the most widespread problems. Instead, a whopping 69 percent of the pork chop and ground pork samples tested by the magazine contained Yersinia enterocolitica bacteria, which sickens about 100,000 people a year, many of them children. Eleven percent contained Enterococcus bacteria and 7 percent contained Staphylococcus aureus bacteria. Another 4 percent contained salmonella and 3 percent contained listeria. In general, the ground pork samples were more likely to harbor pathogens than the chop samples. The overwhelming majority of the bacteria found in the samples was resistant to at least one form of antibiotic -- ranging from 63 percent of the Enterococcus to 93 percent of the Staphylococcus aureus. And many of those that were resistant to one kind of antibiotic were also resistant to several others. Most experts believe that the widespread administration of non-therapeutic antibiotics in livestock -- which makes animals grow more quickly than they otherwise would -- contributes to the proliferation of antibiotic-resistant bacteria in the environment. But antibiotics aren't the only drug given to livestock. The Consumer Reports investigators also found traces of the drug ractopamine, which promotes growth and leanness in pigs, in about a fifth of the samples tested. Ractopamine is legal and generally considered fairly safe in America, but it is banned in China, Taiwan and most of the EU, and has been associated with anxiety and restlessness among those who ingest too much. The nearly 200 samples came from major grocery chains and national brands of pork from throughout the country. Consumer Reports recommends that consumers cook all their pork to 160 degrees to ensure that the bacteria, at least, is killed. You can read the full report on the Consumer Reports website or in the January 2013 issue of the magazine. 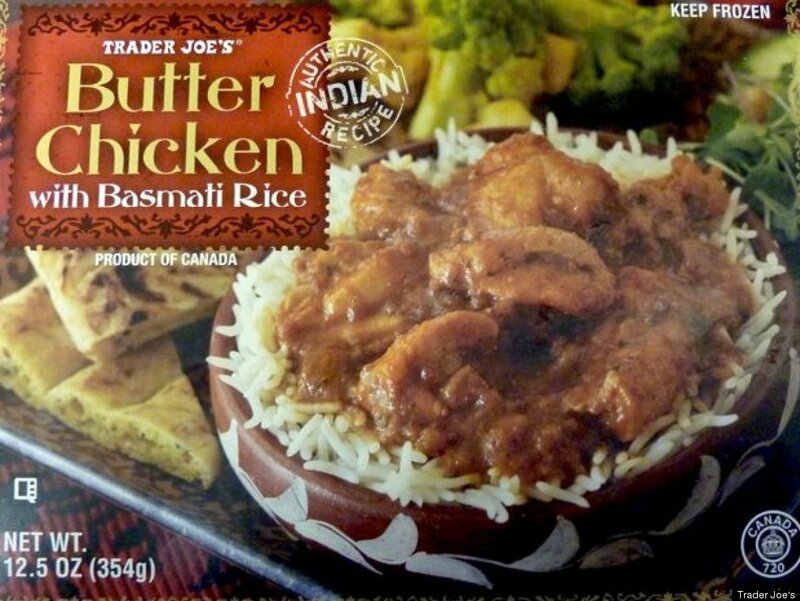 In early December, Trader Joe's announced that the producer behind its <a href="https://www.huffpost.com/entry/trader-joes-recall-butter-chicken_n_2231507?utm_hp_ref=food-safety" target="_hplink">"Trader Joe's Butter Chicken with Basmati Rice" was recalling 4,865 pounds of the product</a> because they may be contaminated with Listeria. The product was distributed nationwide, to stores in New York, Massachusetts, Virginia, New Jersey, Pennsylvania, Maryland, North Carolina, Connecticut, Florida, New Hampshire, South Carolina, Delaware, the District of Columbia, Maine and Rhode Island.